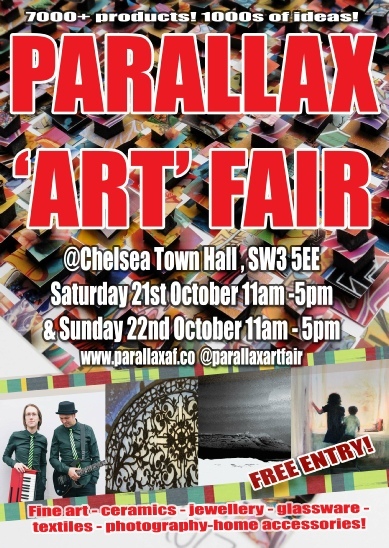 On October 21 and 22, 2017, Stefania attended the Parallax art and design fair, held in London twice a year. More than 200 artists - painters, sculptors, photographers and jewellery designers - from 40 countries were present at this fair where not less than 7,000 products were exhibited. The 20th Parallax Art Fair was held at Chelsea Town Hall in London (King's Road) and the main media partner of the event is the BBC. For more information, visit Parallax Art Fair 2017.